Karla Kuskin grew up in New York City, and wanted to write and draw from an early age. Her many books include those written by her, or illustrated by her, and those she has both written and illustrated. She first became well-known with her 1956 book Roar and More, and went on to produce such award-winning and popular titles as In the Middle of the Trees (1959), The Philharmonic Gets Dressed (1982), The Dallas Titans Get Ready for Bed (1986), and The Sky Is Always in the Sky (1998). 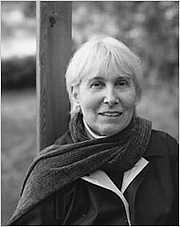 In 1979, she won a National Council of Teachers of English Poetry prize for her body of work. Karla Kuskin is currently considered a "single author." If one or more works are by a distinct, homonymous authors, go ahead and split the author. Karla Kuskin is composed of 5 names. You can examine and separate out names.